Most guys spend their high school years chasing tail, unsuccessfully trying to buy beer and making every effort to look like Kurt Cobain. Lord knows I did. 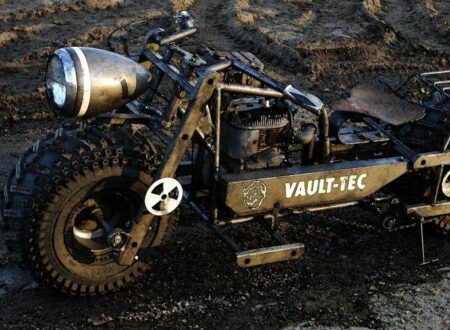 But that isn’t the path Chris Riffel chose for himself, this inspirational high schooler got a group of friends together, talked some teachers into helping and then set about building a fully functioning Fallout 3 bike, right down to the little radiation emblems on the front and rear.